The Atlas Lion is extinguished. 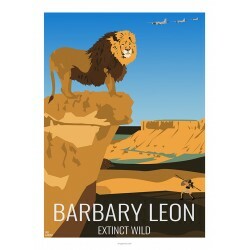 Recognizable thanks to its royal brown mane stretching under his body, the lion of barbarism or Lion of the Atlas is represented here in a valley of the Atlas. Formerly present throughout North Africa, the fight between the Lion of the Atlas and Man began long ago, the time of the Roman Empire. Indeed, this wild animal was the darling of the Romans who took huge amounts to feed their entertainment shows during circus games in Rome in particular. On this poster we can see on the bottom right the representation of Carpophorus, a famous "bestiary" gladiator who made wild animals his specialty. According to the writings, he fought and killed, lions, bears, rhinos, boars, leopards, even killing twenty animals in a single fight. Finally, even if it is not the only cause of its final disappearance, trophy hunters having their immense share of responsibility, it is possible that the war has brought him the coup de grace on certain territories. Indeed, during the war in Algeria, some fighters took shelter in the mountainous areas, they found themselves to coexist with the few lions of the atlas remaining in these areas. Some, on the ground, trying to defend themselves against the wild beast and the others, from the air, raining the bombs. 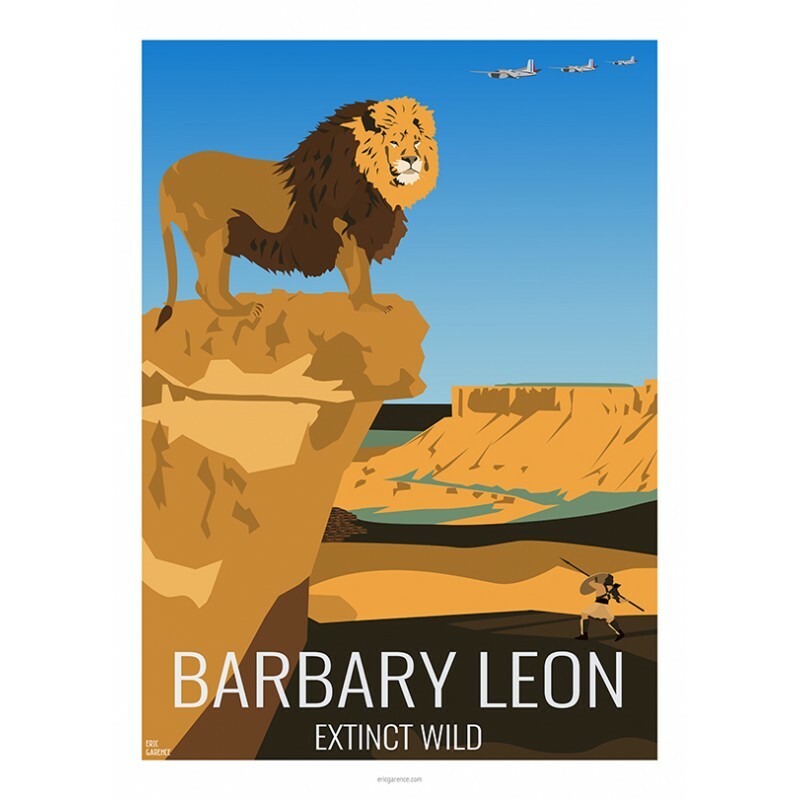 It is therefore not uncertain that the B-26 Douglas B-26 bombers of the French army, at the top right of the poster, who had already served to rain hell at the end of the second world war in Korea and in Indochina on behalf of the Americans were not the last executioners of the Barbary Lion. There are controversies about its presence today in some animal parks but the official authorities are formal and have definitively classified it as extinct species. The last lion of the atlas was shot down in 1962.